Kristina Brown is a chemical oceanographer conducting her postdoctoral research at the University of British Columbia and Jane Eert is a physical oceanographer at the Department of Fisheries and Oceans Institute of Ocean Sciences. 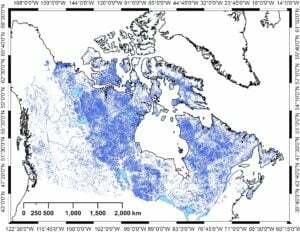 Canada has a significant number of lakes and rivers that empty into the ocean, each with its own geochemical signature that is a product of the environment and the amount of water that flows through it. 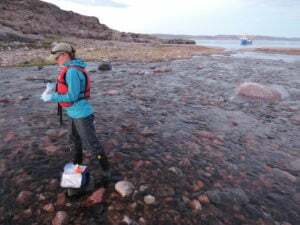 Their project will provide a pan-Canadian snapshot of the geochemical profiles of some of the major sources of freshwater to the oceans that surround our country. This baseline data will be important as a potential tool to trace the inputs from these rivers into the marine environment.